Stop me if you’ve heard this one. A girl wakes up in a strange place with no recollection of where she is, how she got there, or who she is. Five good looking guys happen to be there too, and they can’t escape. Only by working together can they find a means to leave and regain their memories. I should also mention that all of them are on the cusp of death in the real world, so this mansion with the weird butterflies is a purgatory of sorts. Sounds a lot like Bad Apple Wars, doesn’t it? I thought so as well. I even rolled my eyes. Geez, Otomate, you can’t be original, can you? It turns out, that’s where the similarities end. 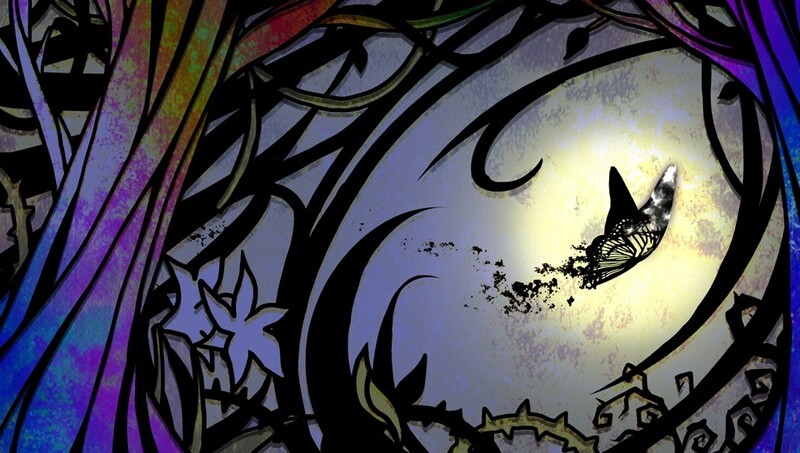 Psychedelica of the Black Butterfly is unpredictable, no matter which winding path you choose. It’s heartbreaking and heartwarming at the same time. Most importantly, it’s impossible to get the whole story by only completing one or two endings. In fact, after viewing half of the visual scenes (and consequently unlocking the “You Only Know the Half of It” trophy), you still don’t know every piece of this puzzle. The trophy title is apropos, to say the least. The player character may not remember her name, as neither does anyone else, but this strange mansion has a guest wing with six rooms with name placards on each door. Each chooses a name and a room, and thus the protagonist picks one of the strangest names I’ve encountered in an otome: Beniyuri. Beniyuri and friends each have a cell phone with them that sends them messages from the Master of the Manor. The only way out of the mansion is to complete a magical kaleidoscope. The only way to do that is to collect kaleidoscope shards. Those who are unable to move on to the afterlife and succumb to the despair of the mansion become hideous goat-like beasts, and they have the shards. It’s up to this bunch to risk their lives in hunting these monsters down to obtain the shards. They have no idea what the kaleidoscope does or why the Master wants it, but if it means they can get their memories back and return to life, they’ll kill every single one of these goat people. How Many Ways Can This Story Go? Of course, Beniyuri will make choices along the way that will steer the compatriots down a particular storyline and thus unique ending. Typically with otome visual novels, the player decides who they will spend the most time with, and then their interactions with that person will lead to either a good or a bad ending for that character. PBB utilizes this same mechanic, but it has its own twists. In fact, it takes a while before the player can get to one unique ending with a particular character. Other than the Bad Ending, the easiest ending to unlock is the Best Ending. The Best Ending is not even one of romance. (I’m not saying there are no romantic endings, but I am saying they’re harder to obtain.) It’s easy to stop at the Best Ending, because it is the best ending. It’s right there in its name. However, the Best Ending barely scratches the surface. The Best Ending also unlocks other endings. Using endings to unlock other endings is the kaleidoscope core of PBB. In addition, PBB has side stories regarding the characters to watch, and these unlock new endings as well. Running through new story paths unlocks new side stories. It’s one giant interconnecting loop, and it’s an absolutely brilliant way to entice players to dive deeper into the overarching story. And it truly is an overarching story. Unlocking one ending will provide insight into another ending. It’s not until you see all of the endings do you really understand the whole story of who these characters are and why they are at the Manor. No ending 100% feels completely separate from the others, not even the Bad Ending. The side stories aren’t always the best, however. I greatly enjoyed the side stories that were real world memories for the characters. As for the side stories providing insights into a particular day while living in the Manor, I set the text to “Skip All.” I watched a couple of them, but it didn’t take long to learn how much I did not care how they decide what they’re eating for dinner. I also did not care about any other menial task they performed throughout the day. This is exactly what the “Skip All” feature is for. Let me get back to solving the mystery of this Manor, mmkay? How Badly Do You Want Each Ending? Since there are so many prerequisites for most of the 12 endings, a few of them are actually a bit of a challenge to unlock. You have to align your choices in a very specific way after unlocking a few specific endings and watching a few specific side stories. Considering most visual novels only require changing up one or two things to find another ending, this challenge was exceptionally welcome. Did I enjoy rewatching certain episodes over and over until I made the correct sequence of choices? Of course I didn’t, but it was still a nice layer of difficulty in a traditionally “filthy casual” genre. To add another layer of work when it comes to unlocking these endings, many of the side stories require a certain number of points to unlock. Points are earned by hunting monsters in the main storyline. At certain parts of the common route, Beniyuri and a teammate will encounter a monster to kill. A mini-game opens where you must shoot a swarm of black butterflies coming your way. Players can use either the touchscreen or the analog sticks and buttons to target and shoot the butterflies. It’s very similar to Fruit Ninja, especially if you use the touchscreen. At the end of the game, players are awarded a rating and a fistful of points. The ratings are only good for trophies, and it’s not hard at all to achieve that S ranking. In fact, once I did get my first S, I bailed out of the mini-game if I had more than enough points. There’s no penalty for doing so other than a loss of points. The entire game element is nearly pointless in the grand scheme of things. Most otome visual novels are a dime a dozen, and they’re usually a guilty pleasure. 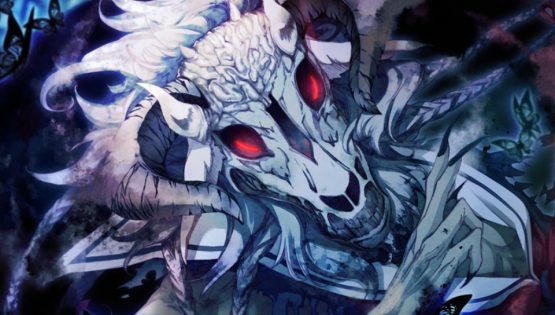 Psychedelica of the Black Butterfly stands above the rest with its unpredictable, deep mystery and its pathways to the various endings. If you’re looking for an atypical otome, especially one where the romantic endings aren’t always the happiest, then you owe it to yourself curl up into your couch with this one. 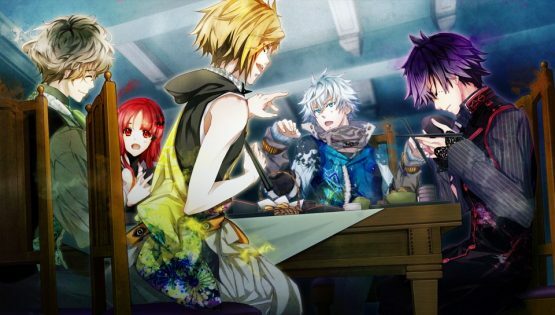 Psychedelica of the Black Butterfly review code provided by publisher. Version 1.00 reviewed on a PlayStation Vita. For more information on scoring please see our Review Policy here.